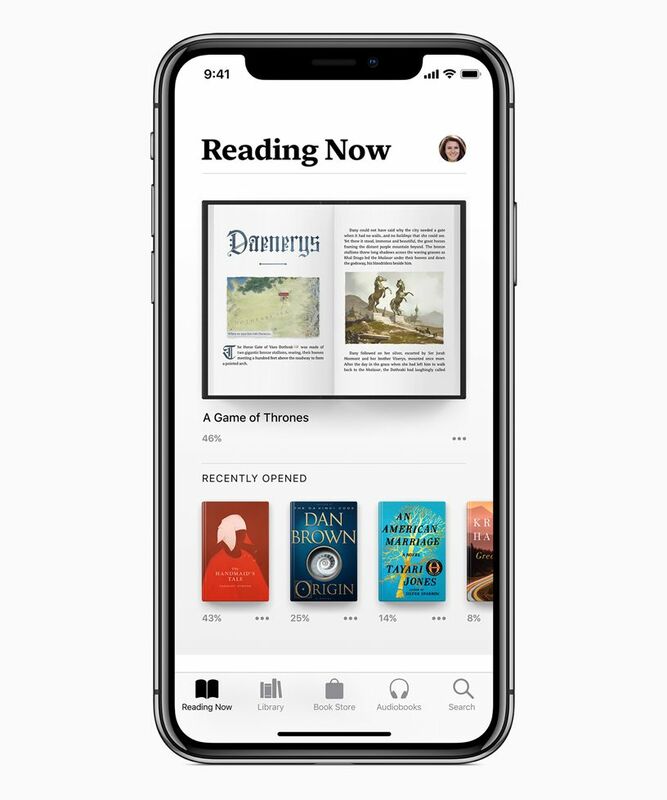 Apple Books gives iPhone and iPad users a beautiful and easy way to discover and enjoy books and audiobooks. 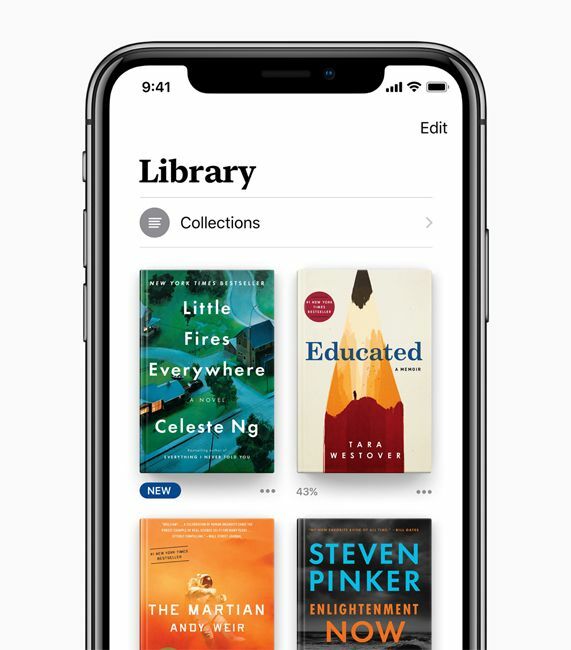 With the new Apple Books app, readers can quickly get to their books through the new Reading Now tab or visit the Library tab to see their full collection. A new, dedicated Audiobooks tab makes it easy for users to listen to their favorites at home or on the go. 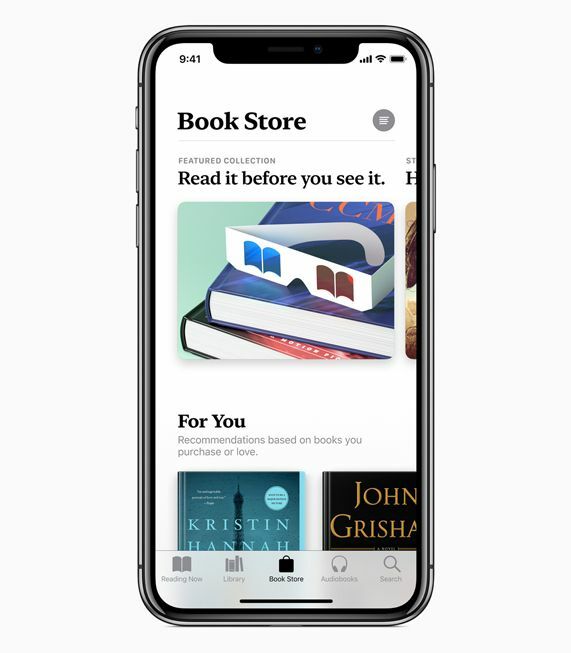 The Book Store tab invites users to explore new releases and browse the top charts, curated collections and special offers.